This is a classic option for bathrooms and kitchens. Black is a timeless colour, which in this case is enhanced by a highly polished finish. The glossy surface creates a reflective appearance. Contrasting these tiles with a white colour is a popular technique in creating a standout look. Polished Black Porcelain Tiles are selected for home designs in addition to shops, offices and restaurants. Black is a versatile colour and these tiles can therefore be incorporated within a range of interior layouts. It is no surprise that Plain White Polished Porcelain Tiles are such a sought after choice for walls and floors. In similar fashion to black polished porcelain, light will reflect off the surface of these tiles to create a glossy style. They combine well with popular brown furnishings and also metallic applications. White bathroom suites will always be in fashion and these tiles are certainly an excellent option for this in which they match superbly with chrome taps and clear glass screens. Cream is a popular colour which works well as part of contemporary home interiors. Plain Cream tiles are well suited to modern bathrooms and kitchens. Cream porcelain is also chosen for living room and conservatory layouts. You can acquire cream porcelain tiles in both matt and polished finishes. A fresh cream colour can help to accentuate space, even in smaller areas like en suite bathrooms. Cream Porcelain Tiles are great for providing a neutral backdrop. Like Cream, Grey is another neutral colour which is used extensively as part of home designs. Plain Grey Porcelain Tiles are a very good choice for either a wall or floor layout. Grey matches well with other popular colours like Black and White. Plain Grey Porcelain Tiles are available in both matt and polished finishes. Not only are these tiles chosen for home designs but are also much sought after for larger renovations including shops and restaurants. If you love the veined style of marble then there are plenty of porcelain options to choose from. Marble Effect Porcelain tiles provide the appearance of natural stone yet all the practical qualities of an engineered product. Porcelain tiles with a marble pattern are available in a vast array of colours, with popular varieties including grey, brown, cream and black. Marble Effect tiles are well suited to feature wall designs and also areas of flooring. 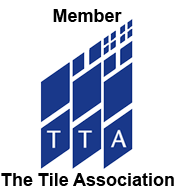 Travertine is a natural stone which is regularly used as part of modern bathroom designs. Travertine tends to be cream in colour with a unique fossil formation. If you want this look in your home, there are now many varieties of Travertine Effect Porcelain Tiles to select from. Natural Stone requires a greater level of maintenance than porcelain which is why many people now choose the engineered alternative for their home layout. It has also proven extremely popular for shops and restaurants. Continuing the theme of natural stone effect porcelain, you can now acquire tiles with a sandstone appearance… and they are proving rather popular. Porcelain Tiles with a classic, grainy sandstone look in an orange, cream or beige colour are well suited to bathrooms, kitchens and conservatories. In keeping with the natural character, the finish tends to be matt – which from a practical perspective makes Sandstone Effect Porcelain Tiles an excellent choice for areas of flooring. You might think that a fabric pattern is used exclusively in bedrooms and living rooms but since the introduction of Fabric Effect Porcelain Tiles it is becoming more and more prevalent throughout kitchens and bathrooms too. This cross hatch style produces a trendy look on walls and floors. These Porcelain Tiles are available in traditional fabric colours like grey and cream. The fabric style is complemented by a matt finish which adds further character to interiors. Create a stunning feature in your home with the use of Wood Effect Porcelain Tiles. Wood has a timeless appeal and is ideal if you are looking to add a unique character to your home interior. If you are looking to create a retro character, there are plenty of wood porcelain varieties which are particularly well suited to this design theme. Effective interior lighting can really accentuate the appearance of Wood Porcelain. For a practical covering in your home, choose Anti Slip Porcelain Flooring. 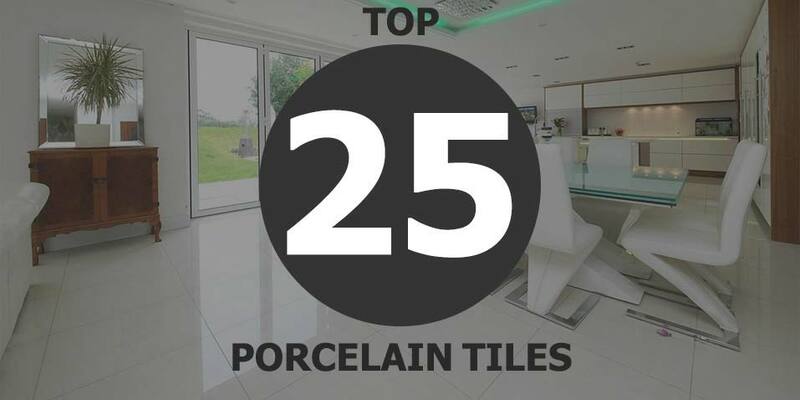 Not only will these tiles provide a high level of slip resistance but porcelain is also extremely durable and therefore suitable for high traffic areas. Anti-slip Porcelain is a popular option for commercial renovations including shop and restaurant preparation areas but it can be used to great effect in many parts of the home including porches, hallways and conservatories. Create a decorative feature in your home with Designer Porcelain Tiles. With these tiles you can provide walls and floors with a truly unique appearance which will really wow your guests. They will produce a standout appearance in living areas and can even be used as part of a fireplace surround. Transforming a particular area by making it a real focal point within an overall design is really easy with Designer Porcelain Tiles. Porcelain Tiles with a rock effect finish produce a distinctive character. Many tiles which fall in to this category have a rustic quality and are available in traditional stone colours like grey. Rock Effect Porcelain Tiles have become particularly sought after for areas of flooring throughout both homes and commercial properties. Not only does Rock Effect Porcelain transform the appearance of bathrooms and kitchens but is also sought after for shops and restaurants. A natural wood appearance has a timeless beauty and this has been captured perfectly in varieties of wood effect porcelain tiles. These tiles combine a unique character with a high level of durability. You can choose from various sizes with large formats including 900x150mm available. On both walls and floors, Wood Effect Porcelain tends to be arranged in a running bond pattern. It is ideal for providing amazing features in living rooms and conservatories. Popular colours include traditional wood shades like brown and grey. You can create the look of a brick wall in your home with the use of high quality porcelain tiles. Brick Effect Porcelain has the required style and practicality to transform interior layouts. It is an easy to clean, low maintenance choice for walls and is particularly well suited to living rooms and also commercial properties like shops and cafes. Brick Effect Porcelain tiles are available in traditional brick colours like grey, red, brown and beige. For a decorative feature wall or flooring design, tiles from the Parian collection offer style and durability in abundance. These tiles feature various shapes and colours and are a great choice for a backsplash above a worktop in a kitchen and also as part of bathroom layouts. Tiles from the Parian collection are certainly an interesting contrast from plain designs, offering a patterned alternative. If you are looking to create a decorative style in your home, tiles with a Moroccan inspired pattern are a great choice. A Moroccan theme is characterised by shaped patterns and the use of blue and white colours, although other colours are also sometimes apparent. These tiles are used to stunning effect as part of a splashback in a bathroom or kitchen. They are equally well suited to flooring layouts in which they provide a highly stylish look. Black Matt Porcelain Tiles are a versatile option for walls and floors. The timeless colour can be incorporated within a wide variety of design themes. These tiles match superbly with popular wooden and chrome features. The dark colour, matt finish and hardwearing nature of porcelain makes these tiles perfect for high traffic areas of flooring. These Black Porcelain Tiles are available in large square and rectangular formats. Highly stylish Snake Skin Porcelain Tiles really bring interiors to life. The pattern is emphasised when effective lighting is used to accentuate the intricate detail of these tiles. These trendy porcelain tiles can transform the look of living rooms and work superbly as part of a feature fireplace surround. On walls, these tiles are also a great option for splashback designs in bathrooms and kitchens. They are excellent as part of a shower wall design and work to superb effect in en suites and wet rooms. For a really artistic, contemporary design you can incorporate a Banksy style within your home layout. Banksy, is an artist who is famed for producing works of art and graffiti - often with a political or moral message - in public places. His work is revered throughout the world and using Banksy inspired porcelain tiles on walls will certainly create a genuine design statement. These tiles are perfect for modern studio apartments as they provide a truly unique feature. A Geometric feature with the use of porcelain tiles can add a contemporary look to interior layouts. This style is perfect for modern decors and works to superb effect within minimalistic designs. Whether you choose Geometric shaped tiles for a wall or floor you are sure to grab the attention of your guests. The emphatic appearance of these tiles can transform the look of any room. Geometric designs are a great choice for living rooms and dining areas in addition to kitchens and bathrooms. If you are looking to create a really interesting feature in your home then using tiles with missmatching stripes will certainly catch the eye. This trend can work on either a wall or floor and will instantly grab the attention of your guests. A design in which the stripes all look like they're heading in different directions will produce an incredible style. It is a decor which is out of the ordinary and is something a little different to a uniformed layout. Create an amazing feature on walls with Blue Marble Effect Tiles. These tiles create a standout appearance which really brightens the appearance of interior layouts. This colour and style fits perfectly within a contemporary living room design. This incredible look will transform your home decor. A vibrant blue marble pattern will match well with popular colours like black and white. Blue Marble Effect Tiles also work superbly as part of a splashback wall design in bathrooms and kitchens. This is a design which will really appeal to dog lovers. A mosaic tile design which features 'man's best friend' will certainly provide a point of discussion when your guests visit your home. A dog mosaic porcelain design could be formed in to a plaque which can be attached to a plain wall to create a decorative character. This design can be used in living rooms and even bedrooms. There are companies which create bespoke designs so you could even have a mosaic design of your dog in your home. Onyx is a truly beautiful natural stone and its unique character has been captured perfectly within Onyx effect Porcelain Tiles. The decorative Onyx pattern and soft neutral colours, including cream and ivory, makes these tiles a great option for either a wall or floor design. Furthermore, the polished finish not only emphasises the onyx pattern but also makes the surface easy to clean and maintain. Porcelain tiles featuring a concrete appearance have become increasingly popular for both home designs and commercial projects. In homes, these tiles are well suited to conservatory interiors, porches and living areas but you can also use them as a standard bathroom or kitchen covering. The grey colour and concrete pattern is well suited to both wall and floor layouts. This versatile option matches well with a variety of colours and materials.